In What Ways Does the Oil Industry Use S31803 Stainless Steel? S31803 (2205) stainless steel, or duplex stainless steel, is heavily used in a variety of industries. One such industry is the oil industry. 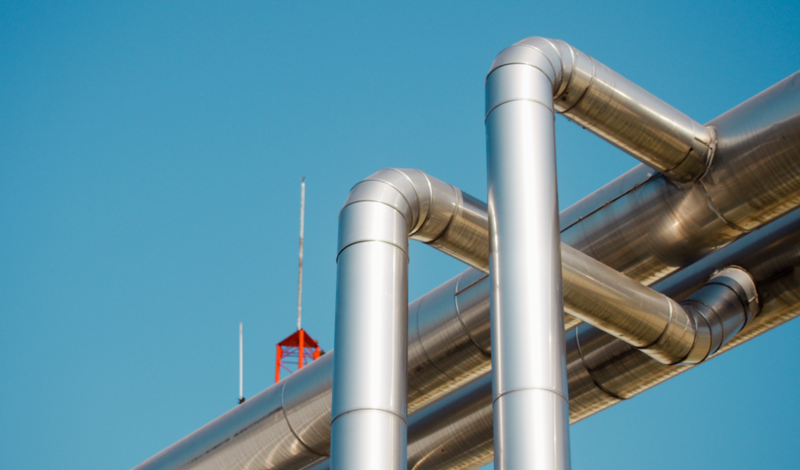 While businesses in the oil industry don’t use S31803 to carry out all of their processes, they do use it to carry out a large number of their processes. Wondering how exactly S31803 stainless steel is used by the oil industry? You’re reading the right blog post. Below, we’ll discuss not only which oil industry resources are made out of duplex stainless steel, but why the oil industry utilizes duplex stainless steel in the first place. For What Components Does the Oil Industry Use S31803? 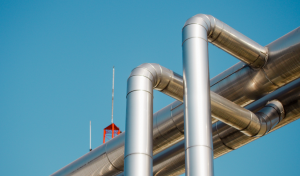 The oil industry utilizes S31803 stainless for a number of components, including, but not limited to pipes, pumps, separators, and scrubbers. We’ll discuss these components in a little more detail below. Whether they’re on land or in the sea, the pipes used by the oil industry are very often made of S31803 stainless steel. This is due to the high corrosion-resistance possessed by the steel. Not only is it highly resistant to corrosion caused by carbon dioxide and hydrogen sulfide, it’s also highly resistant to corrosion caused by chloride. Not only does the oil industry use S31803 stainless steel to make oil pipes, but oil pumps as well. Used to bring oil up out of the ground, these components come into contact with just as many corrosive substances as pipes, necessitating that they possess top-notch anti-corrosive properties. Oil separators are utilized to separate mixtures of oil and water. Used for both inland and offshore drilling practices, separators are very often made out of S31803 stainless steel. Not only can this alloy withstand the corrosion faced by separators, but the potential physical trauma as well. The oil industry uses devices known as scrubbers to prevent small amounts of liquid from making its way into a stream of gas. Coming into contact with water on a regular basis, scrubbers must be highly resistant to corrosion. This is why S31803 stainless steel is often used in their manufacture. Why Does the Oil Industry Utilize S31803 Stainless? S31803 stainless steel is used by the oil industry for two principle reasons: 1. It thrives in underwater settings, and 2. It isn’t easily damaged by gas or oil. In essence, it’s coveted for its anti-corrosive properties. For those businesses in the underwater drilling sector of the oil industry, a steel with high resistance to chloride corrosion is a necessity. After all, pipes, pumps, and other oil transportation components which are constantly submerged under sea water are in perpetual contact with high amounts of chloride. What steel is highly resistant to chloride corrosion? Duplex stainless steel, or S31803 (2205) stainless. While it’s not the strongest stainless steel on the market, S31803 offers terrific strength for a steel that is also highly anti-corrosive. This makes it great for use in the oil industry. After all, high strength is needed in order for pipes and other components to withstand physical blows from various external stimuli. Factor in its affordable price, and it’s almost impossible to deny; S31803 stainless steel is the ideal steel for components used in the oil industry. Interested in Buying S31803 Stainless Steel Products? Do you work in the oil industry? Interested in buying S31803 stainless steel products? If so, we here at Great Plains Stainless have you covered. We sell a wide variety of duplex stainless steel products, from pipes, to tubes, to bars, to fittings, and more. These products are designed to meet a variety of different standards. Check out our S31803 stainless steel selection now!